The Press Bait Fusion is a lure with castability rivaling a metal jig, a ‘spoon-like’ swimming action and a realistic look difficult to achieve with metal construction. 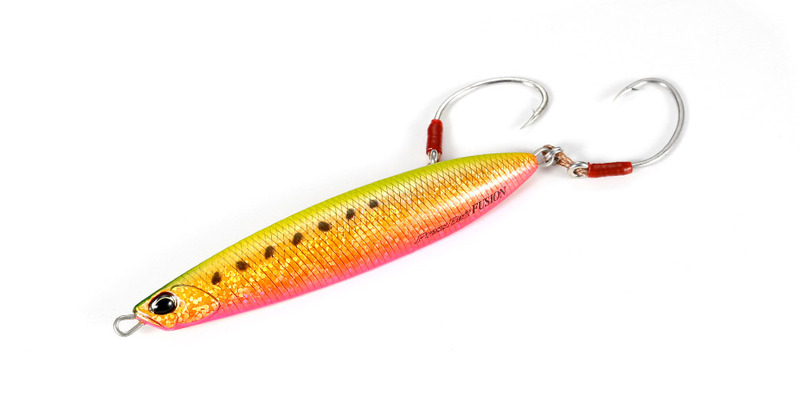 Heavy weight and rear-heavy balance gives this lure a great carry distance and quick sinking speed. During retrieval, it swims swinging its tail side-to-side with the line-eye as the pivot. 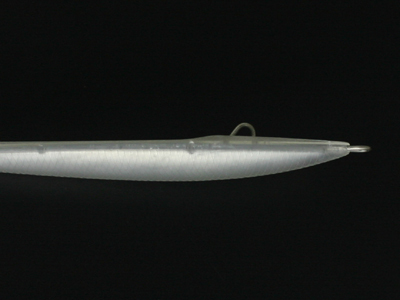 The Press Bait Fusion 90 has sufficient weight so that the angler can fish a wide range of depth using both the ‘bottom drifting’ technique or simply retrieving. It attracts a wide variety of species on or offshore. 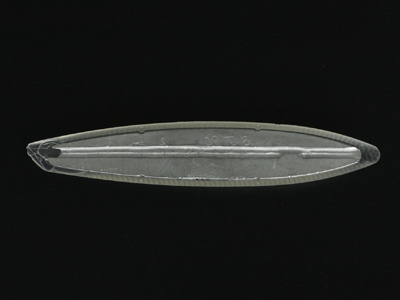 The body is asymmetrical and rear-heavy to produce a ‘spoon’ like swimming action and great castability. 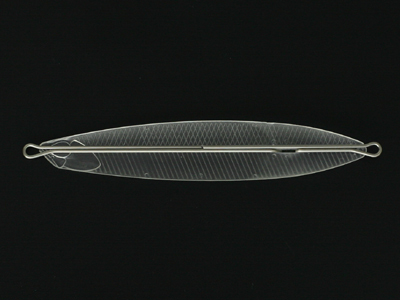 A heavy weight occupies all available inner space of this lure. The internal wire structure extends to all ‘eyes’, giving the angler peace of mind targeting large migratory fish on or offshore. 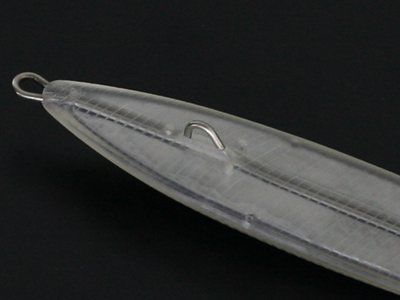 The belly eye reduces air resistance when casting and does not interfere with action while retrieving.